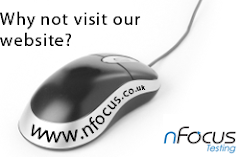 nFocus Blog: The HM Government Cloudstore; Innovative technology… innovative approach! 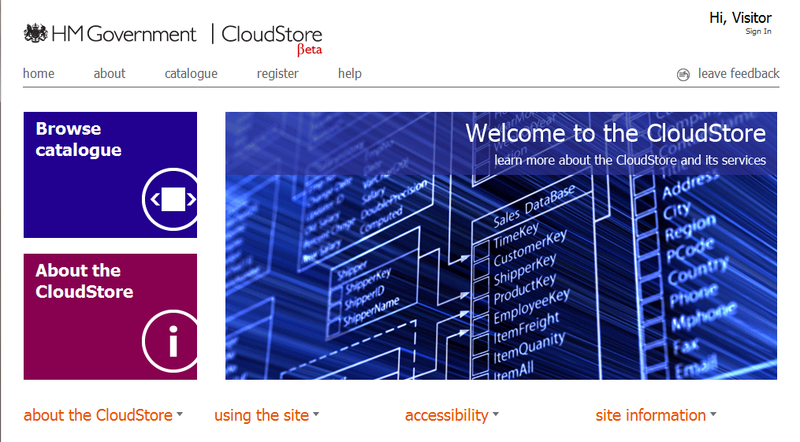 The HM Government Cloudstore; Innovative technology… innovative approach! Thought I’d jot down a bit about one of our recent engagements I have been working on; the UK Gov Cloudstore App Store with SOLIDSOFT. This capability was launched in late February to much media fanfare and acclaim. Those of you that have followed this story would have seen that the first iteration was built and tested in around 4 weeks. Solidsoft asked us to work in partnership on this venture as they knew we could embed ourselves into their small agile project team and get deeply absorbed into the development lifecycle. We were excited to get involved in this project as it utilises “best of breed technologies” such as Windows Azure and bleeding edge Microsoft design principles namely Metro style UI . The way we achieved the delivery of a relatively big undertaking in such a short space of time is due to our collective commitment to the agile/iterative development and testing. As soon as there was anything tangible to test, it was unit and system tested and continuously regression tested throughout the project lifecycle. This obviously meant that there was always a good quality code base for us to work from; that continuously increased in quality, iteration by iteration. Other challenges we faced brought about by the compressed timeline was securing a scalable test environment. We managed to get around this issue by leveraging the applications Windows Azure powered technology. We placed performance test agents within the Azure cloud layer, which allowed us to utilise the on-demand elasticity to scale up and down capacity as required. I feel really proud of our achievements on this short-burn, high profile project and really enjoyed working so closely with our trusted partners such as SOLIDSOFT and working on cutting edge, relevant technologies such as Windows Azure. 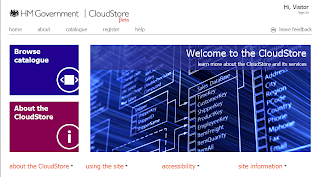 What is in the CloudStore? As part of the Government's G-Cloud programme we have set up a framework agreement for the public sector to be able to procure a range of cloud-based services. You can find out more about the programme at the G-Cloud blog.